Please consider a gift to the Evanston Symphony today—your gift does make a difference! 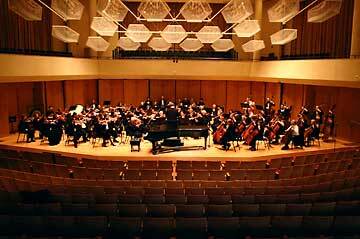 Gifts to the Evanston Symphony Orchestra help keep classical music alive in our community. The ESO relies on the support of corporations, foundations and individuals like you for its success. Ticket sales and advertising revenues cover about half of our operating budget. Your gift supports our concerts, community outreach and music education. The ESO has a variety of giving opportunities that fit your giving needs and address your philanthropic goals. You share the excitement when Maestro Eckerling and the Evanston Symphony Orchestra take the stage. Now you can “Share the Stage” with the orchestra – with your gift of $150 or more to the Annual Fund. Share the Stage is our way of recognizing that our ESO Community is made up of orchestra members and supporters. Your gift sponsors a Section member, a chair in the orchestra. Choose an instrument you love, one you play, or one you wish you could play – it’s your turn to shine. A gift of $450 or more sponsors a Principal Player (leaders of each of the 19 sections). You may select to support a Soloist with a gift of $750 – $1,499 and the Concertmaster category is available for gifts of $1,500– $2,999. Our exclusive Conductor category is available for gifts starting at $3,000. At each concert we display our “Share the Stage” recognition board in the lobby. Principal Player sponsors are prominently displayed because, like the musicians who lead each section of our orchestra, these generous individuals demonstrate leadership in their commitment to our mission. Section Member sponsors are recognized in the reserved seat of the instrument of their choice. Our goal is to have a sponsor for each musician in our orchestra! If your gift is in honor or in memory of someone, you may provide the information here. Mrs. Ms. Mr. Dr. Rev. Prof Sister Mr. and Mrs. Hon. Dr. and Mrs. Mr. and Ms. Rabbi Mx. Dedication text for gifts of $150 or more: How you want your name to appear on our Share the Stage display. Please contact me about leaving a gift to the ESO in my will. We will include you on occasional emails unless you check this box. Gifts to the Evanston Symphony are tax deductible to the extent allowed by law.